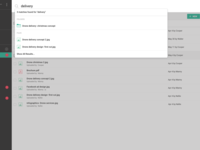 Zoho WorkDrive Reviews Recently Reviewed! How To Take The Headache Out Of Driving Your Team. 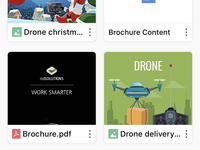 Pros: Having tried many tools out there, I can now say that I finally found an outstanding solution in Zoho Team Drive that suits and benefits my team. What did it for me are the instant notifications, no longer having to send files as attachments, the draft functionality is really handy. Separation of private and public space is included, which is not a given with other products I tested. What I liked most is the integration with other Zoho products. So, if you are already using Zoho products, I would recommend adding Team Drive to your account. Disclosure, I was part of the beta test. I mention this because my feedback was really appreciated and I could see small tweaks here and there being made in a fashionable time frame. Which gave me a good feeling. First proper testing and then release a new version. Basically how it should always be done, anywhere but not always happens. Zoho has solid but still rapid development in their DNA. Cons: What I like the least about this software is fair but always hard to answer the question. Obviously, I like the software and would suggest everyone give it a try. What it is currently lacking but I know it is coming, so not an issue for me is what would be described as "Infinite Sync" that would make it possible to access your files in TeamDrive without them being physically on your computer. 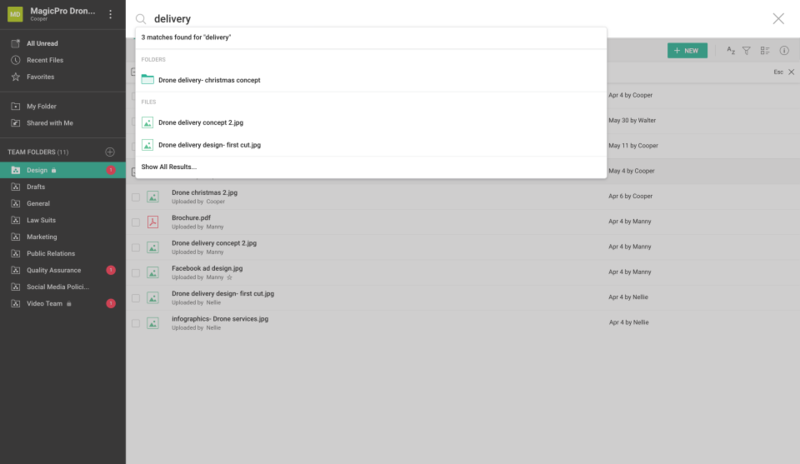 I think everyone would agree that is an awesome feature, coming to your TeamDrive in the near future. Can't wait for that one! Overall: My team really benefits from TeamDrive for all the reasons mentioned above. My experience with TeamDrive overall has been really good. The current Zoho TeamDrive support team is swift, to the point and friendly if you have a question of any kind. I have autism and am sometimes not that quick on the uptake, the team has been, and still is, really patient with me. Thanks team Zoho. Thanks for leaving us such a wonderful and detailed review, and for highlighting all the important features of the product for everyone. We're glad that you love the product and our customer support. As a beta customer, your continuous feedback has played a crucial role in making WorkDrive what it is today. Pros: Zoho WorkDrive is a collaboration tool to manage the files in more discipline manner. It provide the secure shared work place to shared the data and documents. The web interface simplifying user interface. Zoho WorkDrive is design in such as way which simplify the workflow in team and between the teams. Managing and administrations of team is easy to get your WorkDrive secure space with features like monitoring the activities and audit trail. Confidential data can be secure with access control where we can protect the data to get accessed or modified. Activity timeline help us to know the operation performed on our file. 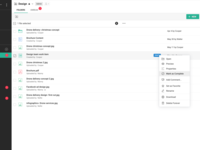 Cons: Zoho WorkDrive is a fully featured collaboration tool but the only one thing I am disappointed with is the two factor authentication and dedicated account manager features is missing in the Starter and Team editions. As these are the most useful features which make the Zoho WorkDrive more robust tool. Overall: Zoho WorkDrive really a must need tool to manage the teams. The password protection for links and expiry enchnace the security one level up. The unlimited file versioning feature allows us to jump back to the any previous version of file. Two ways sync allows us to modify the files on the go and push notifications help other to know about the modification in your workspace. Zoho WorkDrive - A fast and reliable platform to work with Team. Pros: Zoho WorkDrive is a Collaboration solution. It provides the platform to store, share and manage while working in team or working with different teams. The public and private space are easy to manage and store the things within it. The instant notification will pop-up if any update is available in your work Team folder. We can also manage the notification in settings. Zoho WorkDrive also helps in managing the permission on your work-space like check-in/check-out feature will be available only to the authentic users only. The speed is also impressive and bulk upload helps in update many files at once. The advance search option helps in searching the things without any great effort. Cons: Zoho WorkDrive supports many file format but not all. 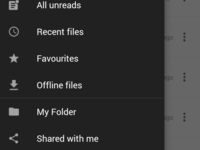 It also compares the image file version update with hash digest. URL share with expiry is great but link should be active again once the owner want it to be live again in few days limits. Desktop sync and mobile notification feature are amazing but I have faced some issue in last version update but cleaning the temp file fix that issue for me. Overall: Our team is using on trail bases and finding it very useful as we are planning for the ZOHO Office Suite. Zoho WorkDrive apps for Android and OS mobile devices let us know the update from remote location also. The best feature we like in it is advanced analytics dashboard which help in tracking the activities. Data Administration module is also helpful in managing the permission in very simple form. Thank you so much for your feedback. We're glad you like the product. Regarding the issue you're facing with image file version upload, we're coming up with a feature update after which you can upload revised file versions with different file extensions. We'll let you know when this update is out. As for your suggestion on external sharing links, all the links you've created will be listed in your file share dialog box. Invalid links will have an 'Expired' tag next to theem. You can make these links live again whenever you need, by just changing its expiry date. If you have more suggestions or questions, please write to us at support@zohoworkdrive.com. Pros: Zoho TeamDrive works very well for us because it helps us in storing files on the cloud. Since we started using it, the tool has improved our operations because all our files are now secure and perfectly-organized on the cloud. The tool is also reliable for sharing files across different devices. 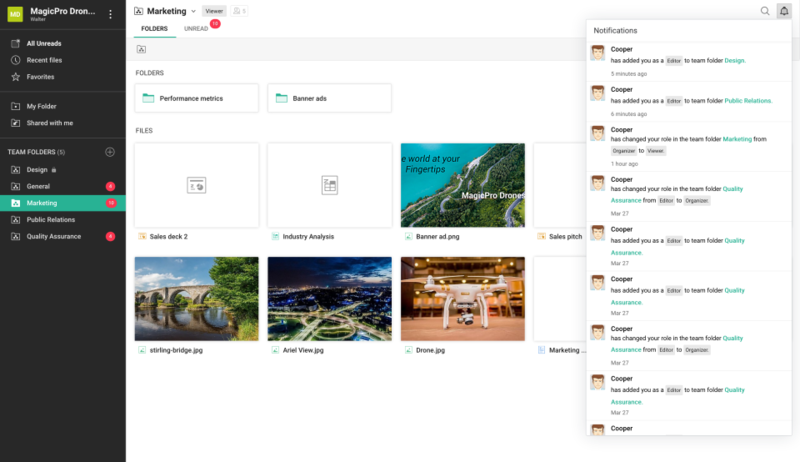 Cons: Zoho TeamDrive is a perfect collaboration that I cannot complain about. It will be unfair if I leave a negative comment about it here. Overall: My overall experience with Zoho TeamDrive has been good. It offers great online solutions. It can share, many and store files all small and big sizes. Thanks for leaving us such a great review and trusting us with all your file storage and collaboration needs. We're ecstatic to hear how much you love the product. We will strive to ensure we continuously deliver the same experience. Pros: It's secure, as many sharing options like public with time-based URL's (or permanent). The search is fast, has version control and meta data about how many times a file is downloaded or viewed. Cons: The desktop app is downloading all files locally. I would be nice when you can stream the files because I don't want files physically on my machine. Thank you so much for leaving us a review. We¿re glad you like the product. We, at Zoho, are constantly striving to improve your product experience, and take your feedback very seriously. Regarding your suggestion, please note that we¿re working on a feature that lets you access your team files offline without having to save them locally on your desktop. We¿ll keep you updated on this. If you have more suggestions or questions, please write to us at support@zohoteamdrive.com. Pros: I like using Zoho TeamDrive because it is an efficient software that provides the best team solutions. It is great for storing files and sharing them amongst ourselves. Zoho TeamDrive is affordable to use. You can easily use it with numerous benefits, including Android. Cons: I like everything about Zoho TeamDrive including the user-friendly. It is a reliable and easy to use collabotration software. 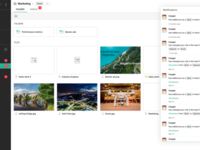 Overall: I like the experience I have with Zoho TeamDrive. It keeps all our content or files secure. It is the best for online file management. We are incredibly grateful that you took the time out to leave us this review. Our customers are our ambassadors, and it's customers like you that give us the encouragement to do better every day. Pros: I enjoy using Zoho WorkDrive because it offers the best online storage solutions to us. The tool is easy to use and fast. 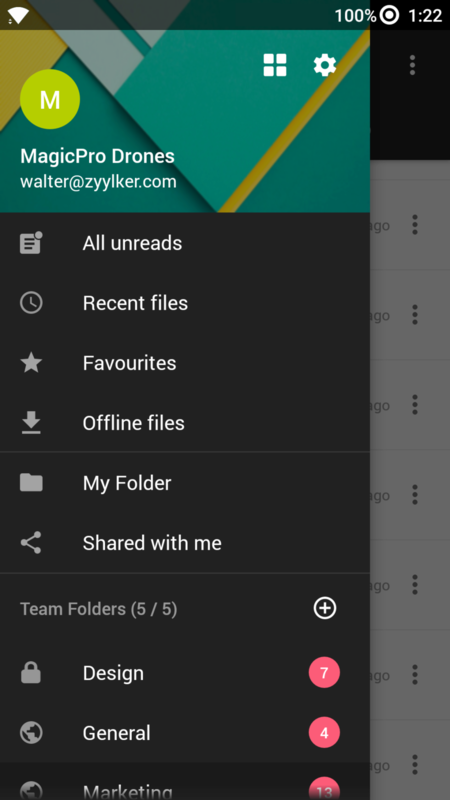 Additionally, I like it because it is great for storing team orders or files in an organized manner. It is accessible using different types of devices. It is a recommednable collaboration and file storing tool. Cons: I find everything about Zoho WorkDrive interesting. Therefore, I cannot hate it at all. 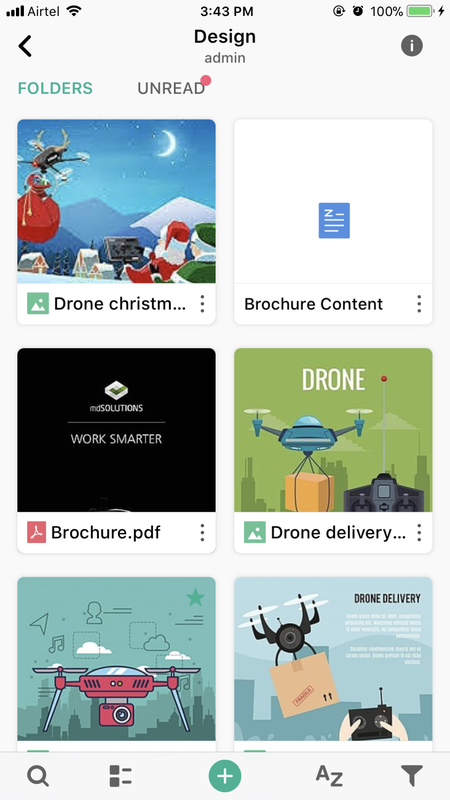 I like each and every characteristic of Zoho WorkDrive. Overall: I have had a remarkable experience with Zoho WorkDrive because it is the best file storage, sharing and collaborartion tool ever. Others should start using it because of its affordability. Thanks for leaving us such a wonderful review. We are thrilled that you love the product. Customer satisfaction is our top priority, and your review is a recognition for the work we put into the product every day and an encouragement to do even better. Pros: This allow the set of users to share and create files, images and other documents. And manage projects or events using this application to share data and information. And other Zoho products can be used with this application. Cons: The file downloading on the desktop application can be annoying because some users doesn't want the file on their computers instead of the cloud. Also form creating is feature that is lacking in this application. Overall: Used this in a group project in the university. Thanks for all your positive comments about WorkDrive. With regards to the cons you've mentioned, users who don't need all the files synced to their computers through the desktop sync app can use the selective sync feature to choose the files they need to sync. Also, users can desync files from their computer at any point in time. I hope we've understood your question correctly. Please write to us at support@zohoworkdrive.com for a more detailed clarification. 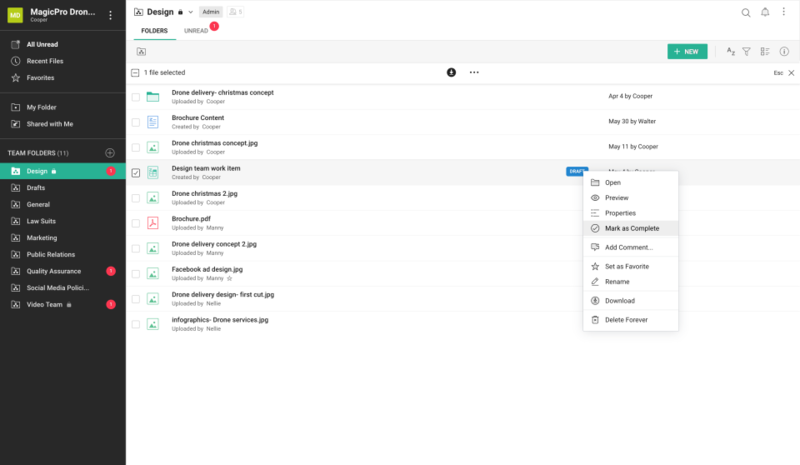 Pros: For those looking for alternatives to traditional cloud services and file management such as Google Drive, Zoho Team Drive represents a very good one. With almost all the tools offered by the market reference, this application offers a plus, file monitoring and management to measure the performance and productivity of work teams. If you want to try something new and different this tool waits for you, I recommend it. Cons: It does not have the ability to generate forms and this leaves it one step behind Google Drive, as the forms are used a lot in the airline for dealing with customers and our workers. Thank you so much for taking the time to share your experience with the product. It means a lot to us, and we're glad you like the product. With regards to your suggestion on adding a form builder, we'd like to inform you that we have our own app, Zoho forms that'll meet your requirements. Please visit https://www.zoho.com/forms/ for more details. Pros: User interface is simple and easy to understand. Team management is fantastic. Fantastic upload speed. Standalone versions for PC and smartphones are always welcomed solutions. Dashboard is completely my type (of design) with lot of options. Cons: File preview for an image (photo) are slow or not working. Thumbnails are not generated in automatic. Preview is not available for many popular formats, like .pdf and with some others (like .docx) have small problems. Filters are really very basic. Overall: Very good solution for small teams/companies. Easy to setup and easy to use. Regarding the problems you're facing with file preview and thumbnail generation, please write to us at support@zohoworkdrive.com, so we can take a look at the issue and fix it. Zoho WorkDrive: A fast and reliable platform to work with Team. Pros: The secure system Zoho has the best feature. The user interface is very clean and easy to operate. Working on the team is very much easy with the help of Zoho Workdrive. It provides the best team solution. Cons: It doesnot support every file format. The file downloading on the work area application can be irritating in light of the fact that a few clients don't need the document on their PCs rather than the cloud. Thank you so much for leaving us a review. We're glad you like the product. We, at Zoho, value all of the feedback we receive and are constantly striving to improve the product and our services. Regarding your feedback on file formats, here's a list of file types we support. If you have a particular requirement, please write to us at support@zohoworkdrive.com with the details of the file format support needed. Could you please write to us at support@zohoworkdrive.com elaborating on the challenge you're facing while restricting file download, so that we can help you better?